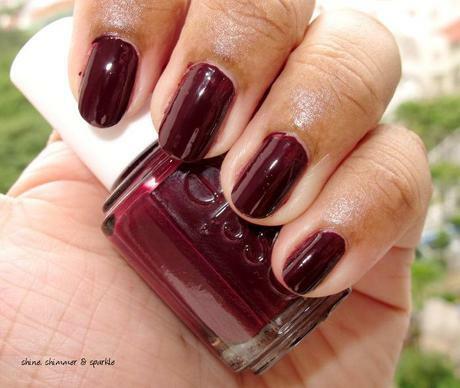 Essie’s Holiday 2013 collection has been out for a little while and here is a look at the namesake nail lacquer of the collection, Shearling Darling. 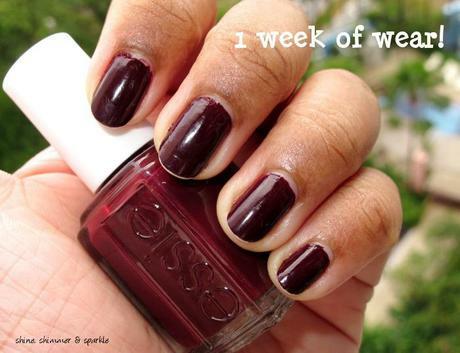 The collection seems to be a hit with many praising the deep color palette Essie chose for the Holiday 2013 collection – the 6 piece collection features a burgundy glitter, a blackened teal, a dusty sage-grey, a dusty lavender and a shimmering grey-toned raisin together with this burgundy-wine shade. There is another collection of glitters but I’ve yet to see it pop up in stores (I usually buy my Essies from DYON International). 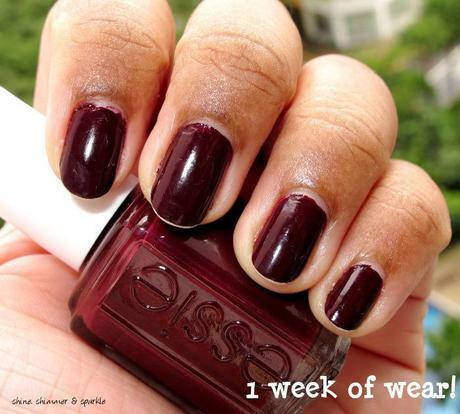 I have a thing for deep wine shades like this and own a few – I love them particularly for a pedicure. The thing with many burgundy wine shades like these is that sometimes, they loose their magic once applied and simply look dark, almost blackened. The other thing is that I often have a little bit of difficulty applying shades like these – if not careful, they can be patchy and show up bald spots which are very obvious when seen in bright light. The worst thing is after all that careful painting, tip wear is visible after washing a spoon (I kid you not). 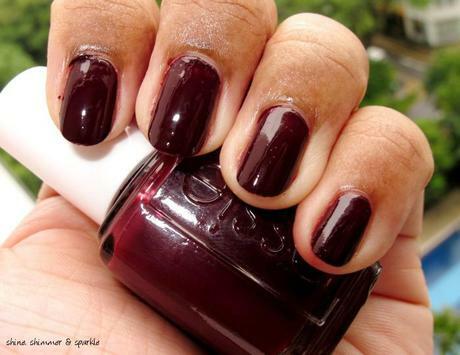 Shearling Darling IS very deep but it has enough wine-red tones in it to keep it from looking like a boring blackened red. More importantly – this was so easy to apply. I really want to say that it literally painted itself. 2 medium-thin coats and you’re good to go. I didn’t experience streaking or bald patches with the smooth and easy-flowing formula. I love how it looked on my nails and had it on for a manicure and pedicure. In the photos above, I have no top-coat on (yet). The finish is smooth, vibrant and glossy. I think this might be the best burgundy wine polish I have in my stash. There is another reason why I’m singing bellowing Shearling Darling’s praises – the amazing wear time. That is 1 WEEK OF WEAR! I’ve never had on a dark polish for more than 3-4 days because I’m not careful with my nails, I help wash dishes and I often eat with my fingers. I also recently acquired a small hot glue gun and have been on a roll DIY-ing hair accessories so to think that the polish lasted on my nails for 1 week is really a big thing for me. I’ve just got on my usual combination of base (Nail Tek Strengthening Base) and topcoat (Seche Vite Fast Dry Top Coat) on here – not even the long-wearing Guerlain Gel Top Coat which I save only for my pedicures. It looks a little scratched and scuffed but otherwise, it still looks relatively decent – for 1 week, I’d expect far more tip-wear than that. 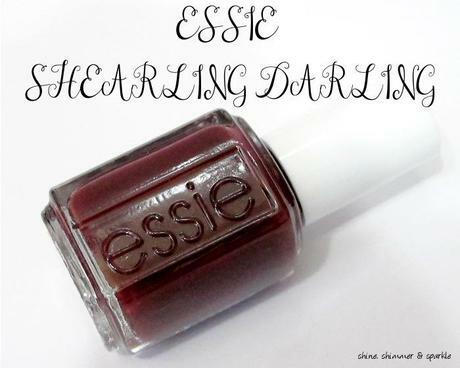 Shade-wise, this might not be entirely unique especially if you have a sizeable stash but if you love deep bordeaux hues, then Essie’s Shearling Darling is an absolute must-have for you. 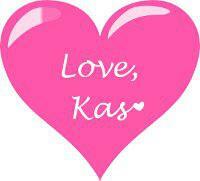 Thanks for stopping by and have a beautiful day ahead!